Mumbai: Healthcare Global Enterprises (HCG) unveiled a low-cost voice prosthesis device for people suffering from throat cancer. HCG, a Bengaluru-headquartered healthcare provider on cancer and fertility, claimed that the device was the first one in the country. The device will be available for general public for most affordable price of Rs 50 only as compared to Rs 30,000 for similar imported device, HCG Head and Neck Surgeon Vishal Rao told reporters here. “We have launched country’s first voice prosthesis device for people suffering from throat cancer. 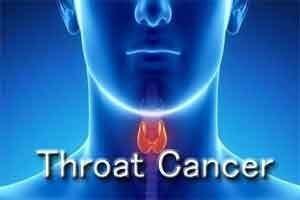 With this device throat cancer patients who have lost their voice can look forward to speaking again. We have applied for patent registration and the product will be made available to public shortly,” Rao said. “This innovated voice box prosthesis, an artificial device made of silicone, that can help laryngectomized patients to speak again. The device will be available for general public for most affordable price of Rs 50 only as compared to Rs 30,000 for similar imported device,” he added. According to Rao there are 25,000 people affected by throat cancer and many of them loose voice every year in the country.